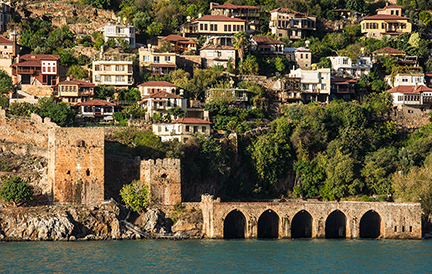 We’ve completed our voyage from the glories of Istanbul to the beaches of the Turkish Riviera. We stopped in Rhodes to pay our respects to the Colossus, had a revelation at Patmos, and enjoyed Nafplion almost to ourselves. Arrived now in Piraeus, we bid arrivederci to some fellow travelers and benvenuti to new guests. We head out now on a trip back to the source of much of the history of this region: the Middle East. Our schedule includes three days in Israel and then a return through the Mediterranean to Cyprus, Crete, Sicily, and eventually Civitavecchia, the port of Rome. I’ll be posting each port of call right here. Nafplion is on the Pelopennesus Peninsula of the mainland of Greece. 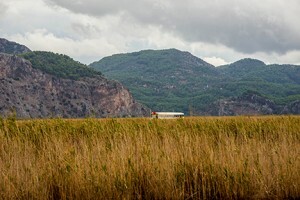 Technically it is an island because it is separated by the short and narrow Corinth Canal that connects the Gulf of Corinth with the Saronic Gulf in the Aegean Sea. We arrived to a near-perfect day, and even better our small ship brought just about the only tourists to town. My wife and I live on a tourist island and we understand the collective sigh or relief that arrives when the season is near its end, and we get back our beautiful place to enjoy. We saw that here today. 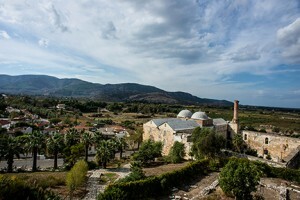 The small town of Nafplion—today the population is just under 14,000—was the first capital of modern Greece, from 1829 to 1834. 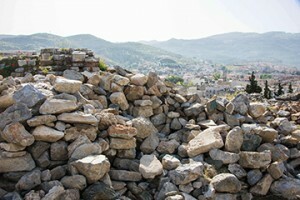 The most significant pre-classical site is the Acronafplia (the Inner Castle), which incorporates some ancient walls. 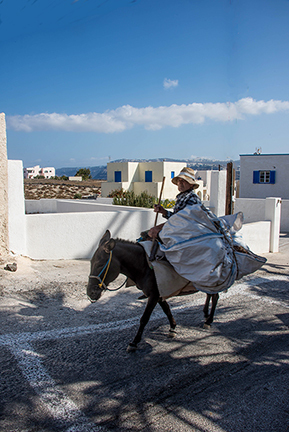 Until the thirteenth century, Acronafplia was a town on its own. 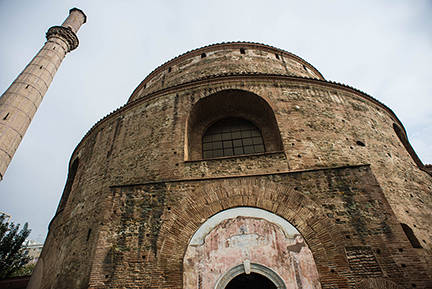 When the Venetians and the Franks and then the Venetians and the Ottomans arrived, they made it part of the town fortifications. 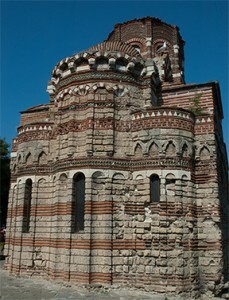 Then in 1388 was sold to the Venetians, who held it for a century and a half. 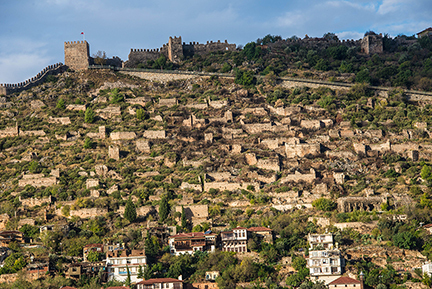 The city was surrendered in 1540 to the Ottomans, who renamed it as “Mora Yenişehri” (“New City of Pelloponnes”). 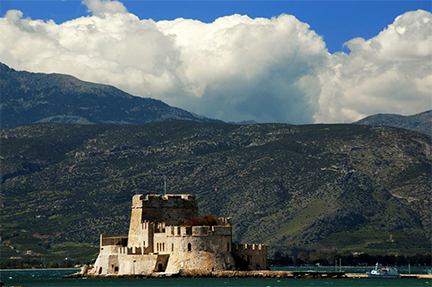 The Venetians retook Nafplion in 1685, and among the first things they did was build the castle of Palamidi. 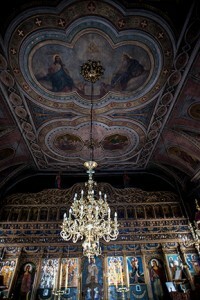 Actually it was possibly the last major construction of the Venetian empire overseas. 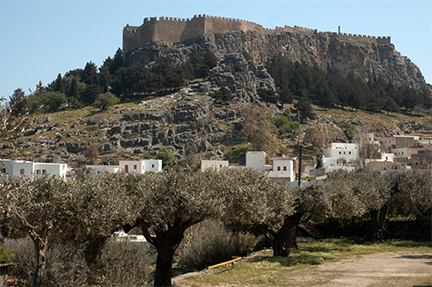 Palamidi is located on a hill north of the old town. 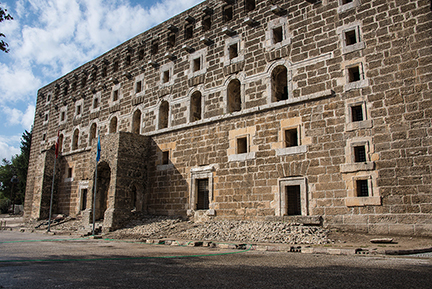 It was a fairly ambitious project, a Baroque fortress. Only 80 soldiers were assigned to defend the city, and in 1715 back it went to the Ottomans, who held it until 1822 when it fell during the Greek War of Independence. The fortress commands an impressive view over the Argolic Gulf, the city of Náfplion and the surrounding country. There are 857 steps in the winding path from the town to the fortress and a few hundred more to the actual top of the fortress. 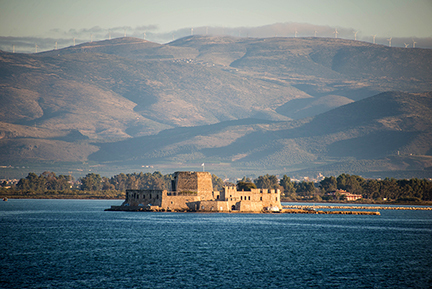 After its capture by the modern Greeks, Nafplion—with its substantial fortifications—was made the seat of the provisional government of Greece, and then in 1829 the first capital of modern Greece. 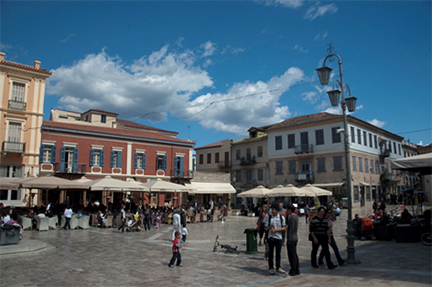 Count Ioannis Kapodistrias, first head of state of the newly-liberated Greece, set foot on the Greek mainland for the first time in Nafplio on January 7, 1828. But three years later, in October of 1831, he was assassinated by local warlords on the steps of the church of Saint Spyridon in Nafplio. In 1832, Otto, prince of Bavaria, was made the first modern King of Greece. 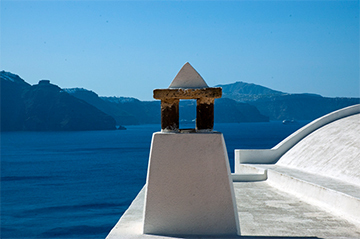 Greece was a new independent kingdom under the protection of the Great Powers (the United Kingdom, France and the Russian Empire). Nafplion remained the capital of the kingdom until 1834, when Otto decided to move the capital to Athens. 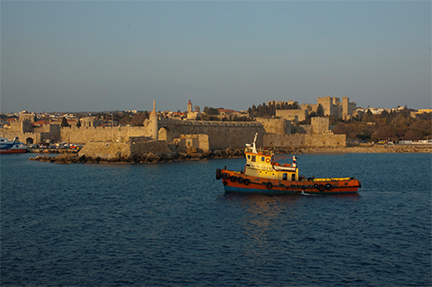 The castle of Bourtzi is in the middle of the harbor; we should have a good view of it as we pass by on ship’s tenders. 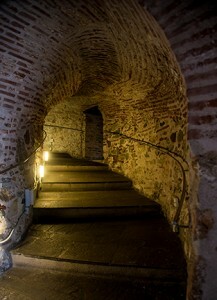 It was completed by the Venetians in 1473 as part of its fortification against pirates and invaders. It served as a fortress until 1865, and then as the residence of the executioners of convicts from the castle of Palamidi. 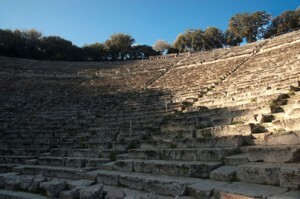 About 45 minute east of Nafplion is the ancient city of Epidaurus, called Epidavros in modern Greek. 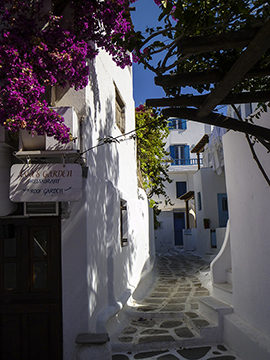 This was one of the most popular Greek spas, a place with special baths and secret rites. People in need of cure would come to Epidaurus and spend their first night in the enkoimitiria, a sort of dormitory. 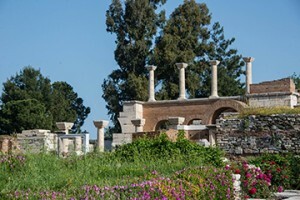 After the introduction of Christianity and the silencing of the oracles, the sanctuary at Epidauros was still known as late as the mid-5th century, recast as a Christian healing center. There’s not a lot left of the old city except for foundations—with one exception: the spectacular Greek theater. It has survived through the ages because it was built into the ground and not above it. 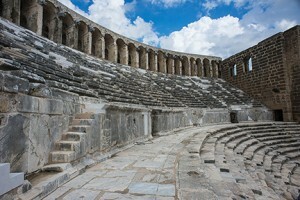 Designed in the 4th century BC, the original 34 rows were extended in Roman times by another 21 rows. 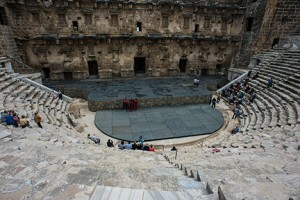 It seats as many as 15,000 people. 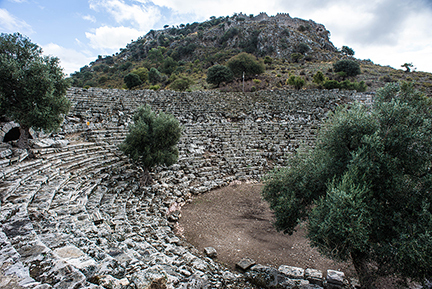 As is usual for Greek theaters (and different from Roman ones), the view of the lush landscape behind the stage was considered part of the theater itself and was not to be obscured. 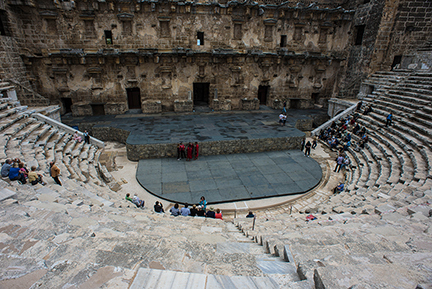 The theater has exceptional acoustics, attributed in part to the limestone seats which amplify sounds from the stage and absorb extraneous noise from the audience. 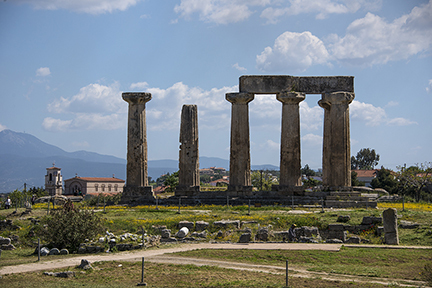 Just over an hour north of Navplion is the once-great city of Corinth, on the narrow isthmus that leads to the mainland of Greece; from here, Athens is about 48 miles to the east. 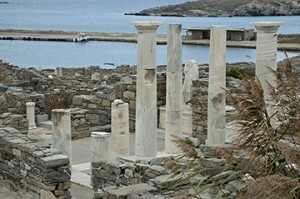 The city was founded in the Neolithic Age, about 6000 BC. 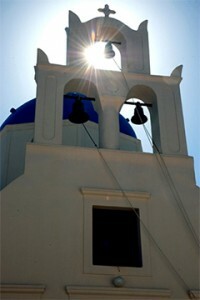 According to one legend, the city was founded by Corinthos, a descendant of the god Helios (the Sun). 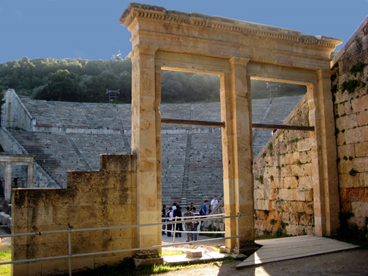 Before the end of the Mycenaean period the Dorians (an ancient Greek tribe) settled in Corinth. It seems likely that Corinth was also the site of a Bronze Age Mycenaean palace-city, like Mycenae, Tiryns or Pylos. 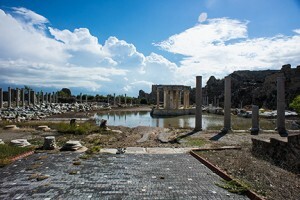 In the 7th century BC, when Corinth was ruled by the tyrants Cypselus and his son Periander, the city sent forth colonists to found new settlements: Epidamnus (modern day Durrës, Albania), Syracuse in what is now Italy, and Corcyra (the modern day town of Corfu) among them. 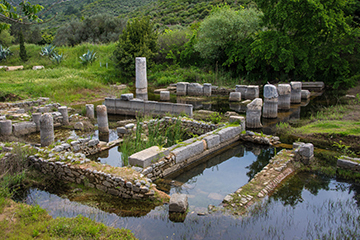 It was during the reign of Periander that there was the first to attempt to cut across the Isthmus to create a canal to allow ship traffic between the Corinthian and the Saronic Gulf. 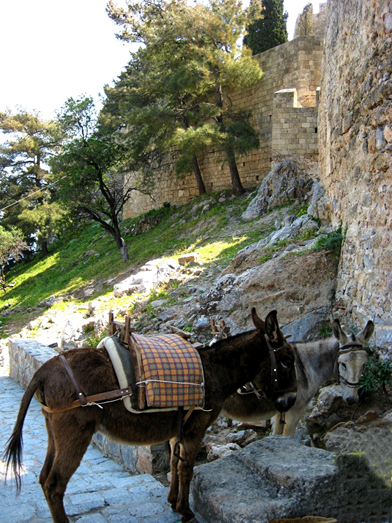 It was way beyond their abilities, but they did create the Diolkos, a stone overland ramp to haul small ships or freight. 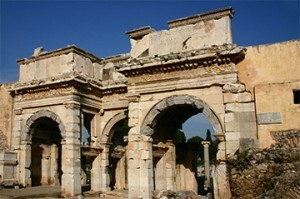 Then came the Romans, who destroyed Corinth following a siege in 146 BC. The Roman Lucius Mummius put all the men to the sword and sold the women and children into slavery before he torched the city. 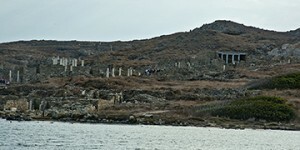 The city was all but abandoned for the next century until Julius Caesar refounded the city as Colonia laus Iulia Corinthiensis in 44 BC shortly before his assassination. 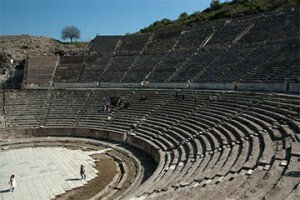 The apostle Paul first visited the city (AD 51 or 52), and presided for eighteen months. It’s all right there in the Book of the Corinthians. 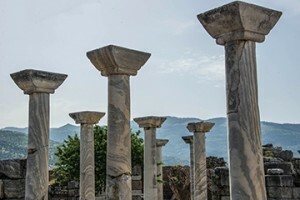 It was during his second visit, about 58, that Paul is believed to have begun his “Epistle to the Romans” and then the several Epistles to the Corinthians. 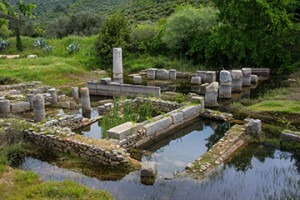 The first serious consideration of a canal across the Isthmus of Corinth was in 602 BC by Periander, Tyrant of Corinth and one of the Seven Sages of Antiquity. He was not sage enough to figure out how to dig the ditch. 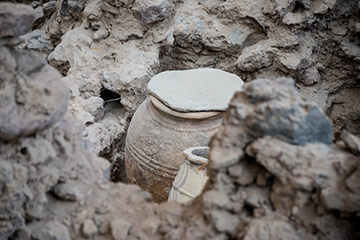 In 307 B.C., about three centuries after Periander, work actually began on excavation. 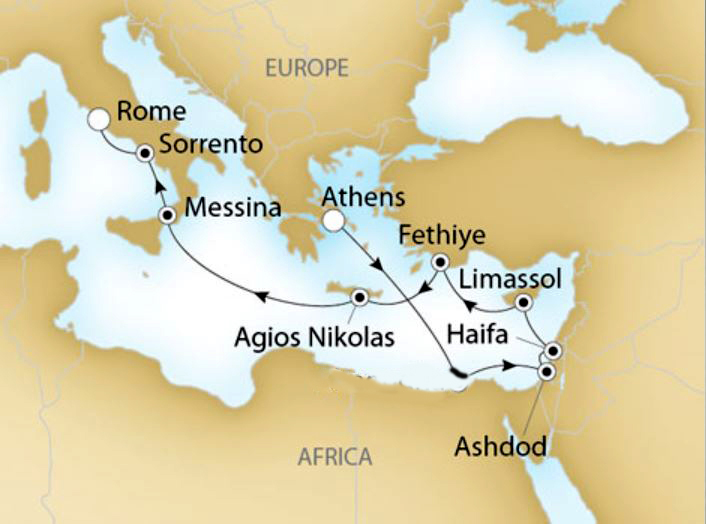 In 66 A.D., the Emperor Nero sent war prisoners from the Aegean islands and six thousand Jewish slaves to work on the canal. 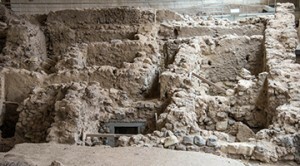 The modern pathway follows—almost to the inch—the plans mapped out by Nero. Sixteen million cubic yards (twelve million cubic meters) of earth had to be removed to cut out the entire passage. The Corinth Canal was completed and opened on July 25, 1893. The Canal cuts the Isthmus of Corinth in a straight line just short of four miles long. 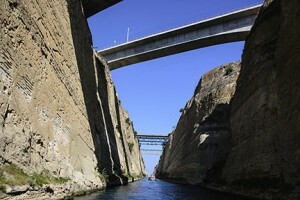 The canal is 80.7 feet wide (24.6 meters) at sea level. 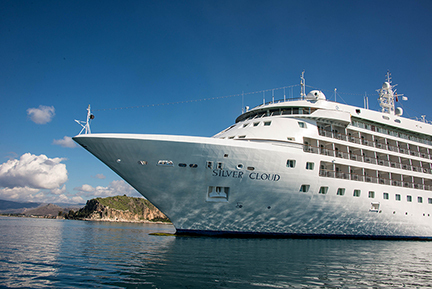 Consider: Silver Cloud is 70.6 feet wide, although like many of us she carries her weight around the middle and higher. Ships of our size and a little larger can easily get through, though. But extra-wide megaships cannot. 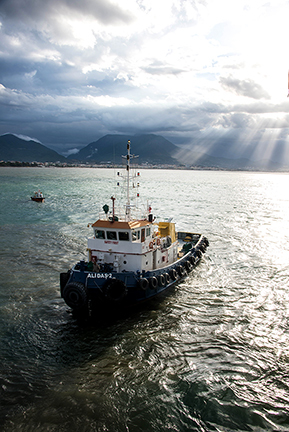 But our ship will NOT be making a crossing. Not this time. 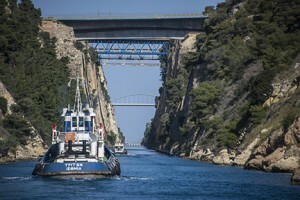 But in 2016, Silversea will return to the Corinth Canal and I hope to be aboard. See you there? All photos copyright 2014, Corey Sandler. All rights reserved. If you would like to purchase a high-resolution copy, please contact me. 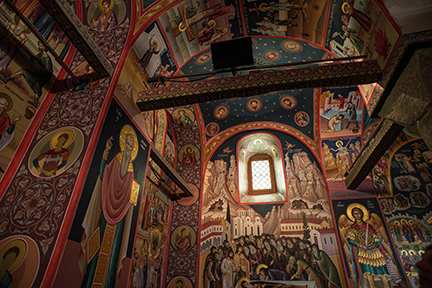 When most of us think of the Apocalypse, we think in dire and dramatic biblical terms. Or perhaps in explosive, cataclysmic end-of-the-world-as-we-know-it Hollywood blockbusters. Bruce Willis, Arnold Schwarzenegger, War of the Worlds, Planet of the Apes, Celebrity Apprentice. You tell me which one frightens you most. 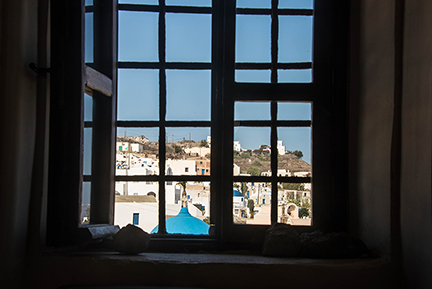 Patmos is a lovely, peaceful small island in the Aegean Sea, one of the northernmost of the Dodecanese islands of Greece. 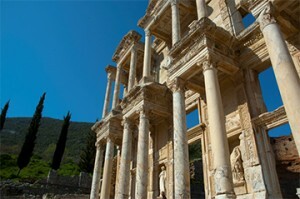 It lies just off the coast of Turkey and the continent of Asia, west of the ancient Greek and Christian site of Ephesus. It’s only about 34 square kilometers or 13 square miles, and the population hovers around 3,000, give or take a few additional thousands when a major cruise ship comes in. 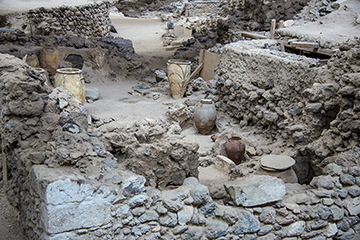 The earliest remains of human settlements, pottery shards at Kastelli, date to the Middle Bronze Age (about 2000 BC). 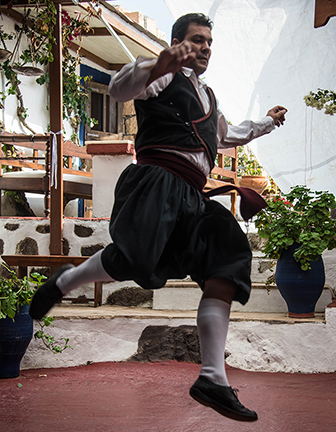 Jumping forward to the time of the Ancient Greeks, the Patmians identified themselves as Dorians descended from the families of Argos, Sparta and Epidaurus. 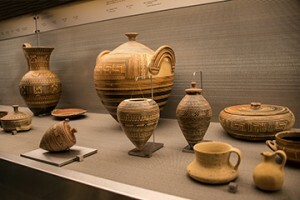 Later came those from Ionian Greek tribes. So why is this the island of Apocalypse? 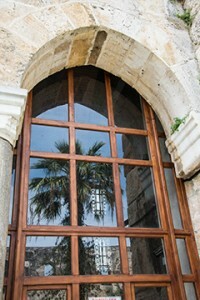 Because it is believed that it was here that the final book of the New Testament was written. 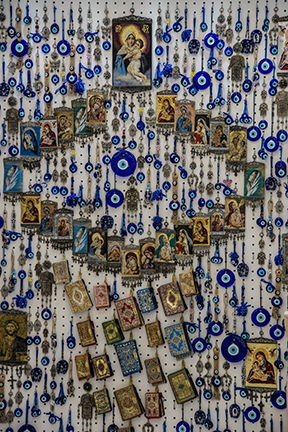 And that book, written in Koine Greek, received its title from its first word: apokalypsis. 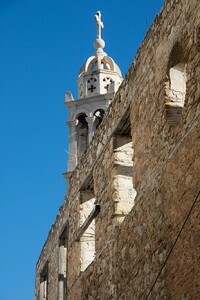 The book’s introduction states that its author, John, was on Patmos when he was received a vision from Jesus and wrote it down; in some recountings John had a helper, Prochorus, who did the transcribing. 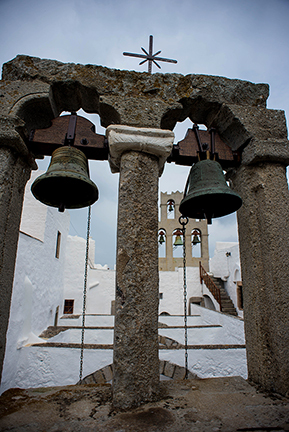 John says that it was on Patmos that he “heard … a great voice, as of a trumpet,” commanding him to write a book and “send it unto the seven churches.” Most modern scholars believe it was written around AD 95, although some date it from around AD 60. 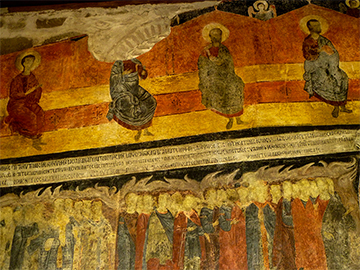 Some academics question the authorship of the book: John the Apostle, John the Evangelist, and John of Patmos. Some say they are three separate individuals. 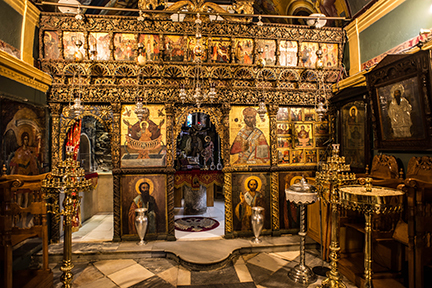 Some conflate John the Apostle and John of Patmos. 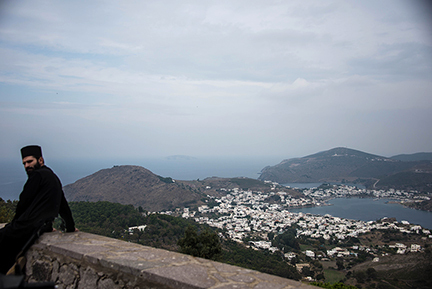 And for good measure, he is also identified in some places—including here in Patmos—as John the Theologian. It is worth noting that this last book of the New Testament is a bit out there. 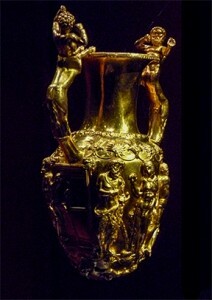 It is full of very rich, very extravagant, and very obscure references: the Whore of Babylon, the Beast. Its final section details a core Christian belief, the Second Coming of Jesus Christ, the anticipated return of Jesus to Earth. Some theologians treat the Book of Revelation as just that, a description of some pretty unusual future events. Others see in it a hopeful allegory of the fall of the Roman Empire. And then there are those who think of it as more symbolic: a reference to the spiritual path and the ongoing struggle between good and evil. Meanwhile, the people of Patmos enjoy their special place in the world, a mix of things sacred and secular. 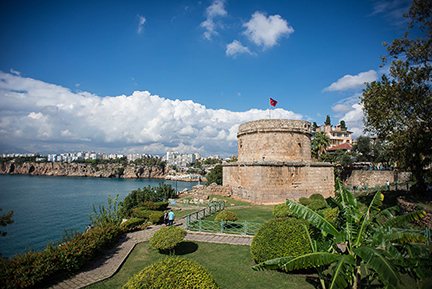 Antalya is Turkey’s largest international sea resort, located on the Turkish Riviera. Let me let loose some superlatives. 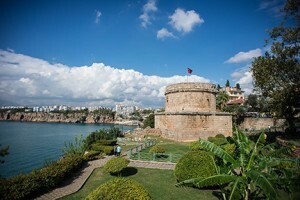 According to tourism authorities, Antalya is the fastest-growing city in Turkey with about a million people in and around the city. 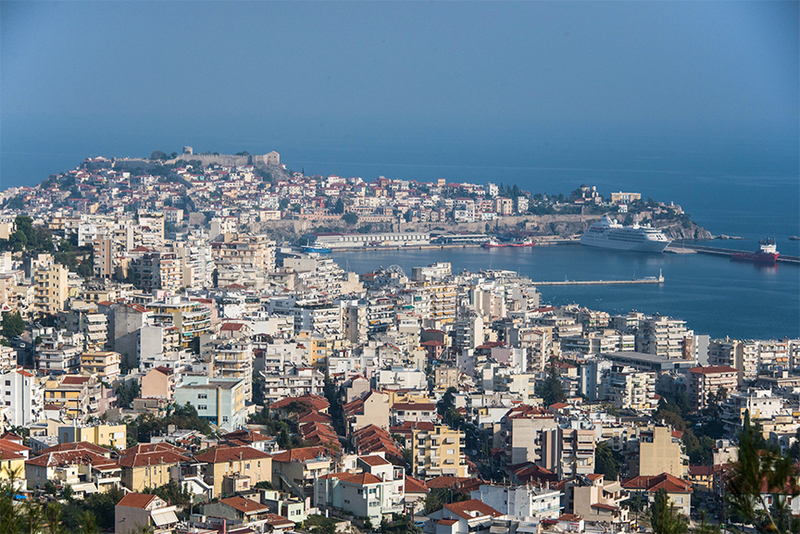 And last year, depending on who is doing the counting, Antalya became the third most visited city in the world by number of international arrivals, ranking behind Paris and London. Or perhaps fourth, or maybe fifth with Singapore and Bangkok in the mix. 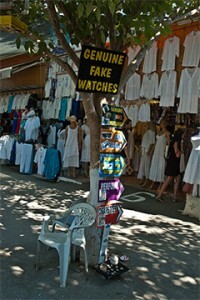 In any case, a whole lot of foreign visitors, about 10 million per year. 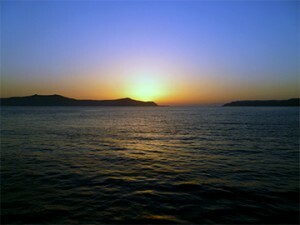 Plus many millions who come to the seashore from the hot interior of Turkey in the summer. 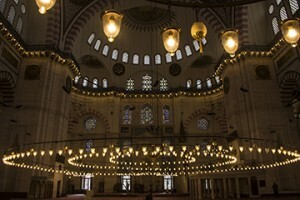 And in this Muslim country, in a place a few hundred miles from the border with Syria and just around the corner from the Middle East, the visitors come mostly to party. 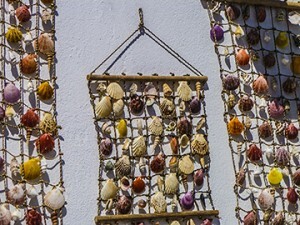 There is a very active beach scene—usually from mid-April until early October, with quite a lot of flesh on display; some would look a whole lot better under cover. There is the Aqua Land water park, and Dolphin Land in season. 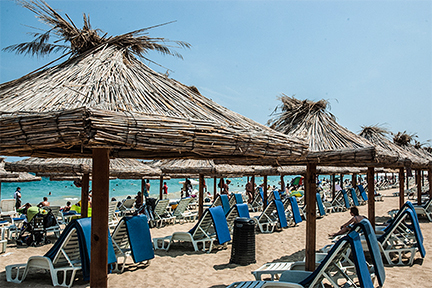 And there is this: the Titanic Beach Lara, on the coast about 12 kilometers or 8 miles from Antalya. 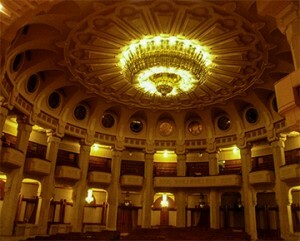 Restaurants, bars, 589 rooms in a landlocked hotel that is designed to sorta-kinda look like the SS Titanic. 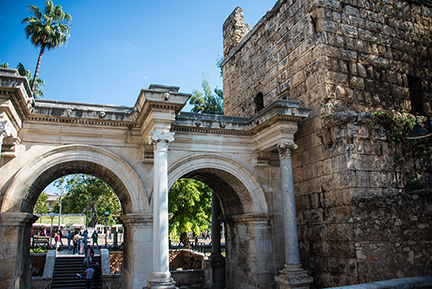 The ancient Gate of Hadrian, a rug store in the city, and a hint of old times in Antalya. Wonders never cease in this part of the world. 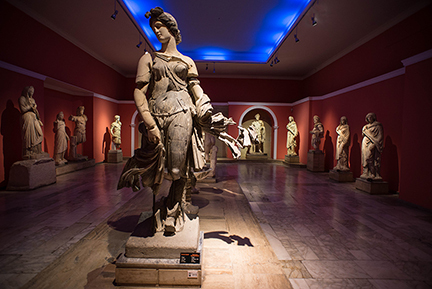 And for many of us, the true wonder is the spectacular Antalya Archeological Museum. 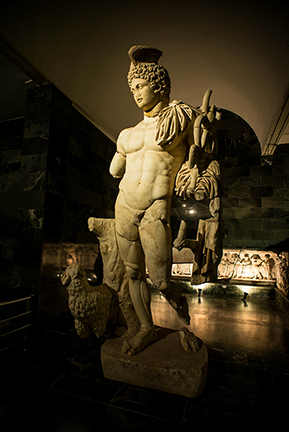 It has a huge collection of ancient artifacts, coins, implements, and a enough Roman statues and sarcophagi to outfit an Eighth Wonder of the World. Even better, on the day of our arrival the museum was closed. But they opened it for our group of 26 guests and me, and we wandered about jaws agape. 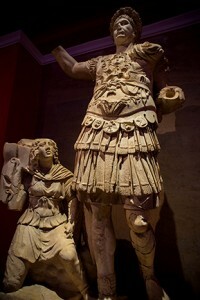 The Emperors Trajan, left, and Hadrian, right. The Hall of Statuary, left, and Hermes, right. A two-thousand-year-old sarcophagus, mirrored on the polished floor. I’ve been to Kusadasi and Ephesus so many times that the street vendors and the cats know me on sight. Not complaining, mind you: this is still one of the most spectacular places in this part of the world and very important to history buffs, Jews, Christians, and Muslims. 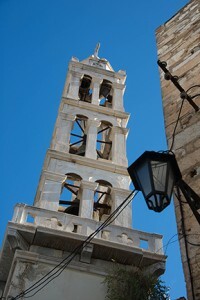 But we are now late in the season, and a bit of a cool breeze was wafting through the ancient city. And the crowds were thinner. Disregarding the tourists obsessed with “selfies”, it was possible to engage in my favorite activity: time travel. For a more detailed description of Kusadasi and Ephesus, see my earlier posts of 11 October 2014, and 23 April 2014. 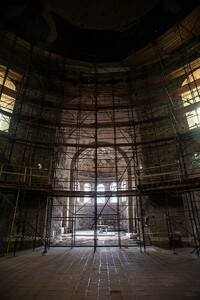 All photos by Corey Sandler. All rights reserved. 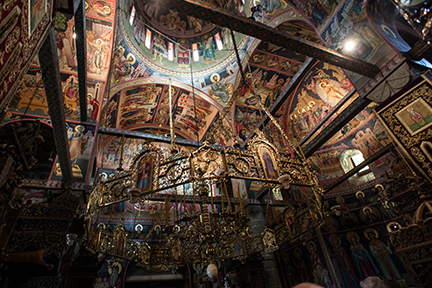 If you would like to purchase a high-resolution copy of any image, please contact me. 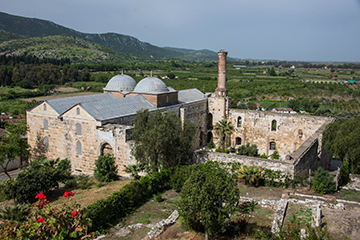 Nessebur is a mostly undiscovered precious stone, a relatively uncrowded port of call that is home to the remnants of more than three millennia of history. It is one of the oldest towns in all of Europe, a UNESCO World Heritage Site. 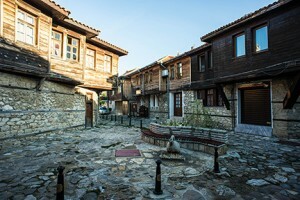 Nessebur is in the southeast corner of Bulgaria, on the Black Sea, less than 50 miles from the border with the European side of Turkey. 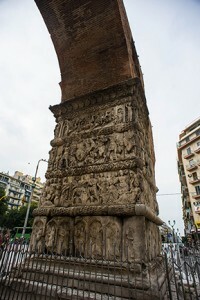 Because of its position on the land route between Asia and Europe, its history is as a crossroads. 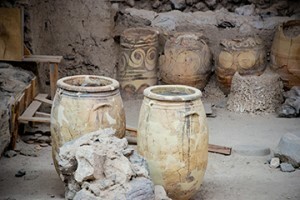 There is evidence of some of the world’s oldest civilizations. 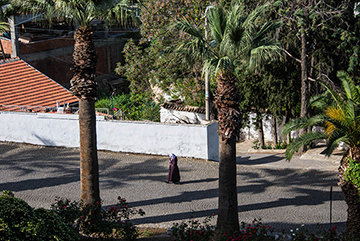 The small town of Nessebur, about 14,000 people—sits on a rocky peninsula jutting out from the coast. It has a rich mix of architectural styles—including Greek and Roman remains—and some beautiful stone churches from the early Middle Ages. Did I say some churches? Nessebur sometimes claims to be the town with the highest number of churches per resident; I can’t verify that, but I do know there are a lot of churches, many of them ancient. 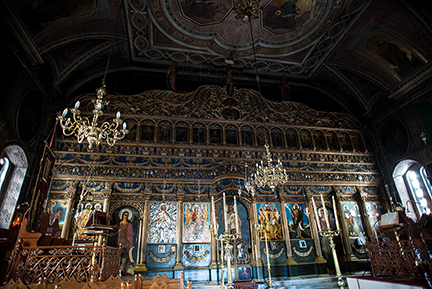 Today, about forty ancient and significant churches survive in whole or in part. 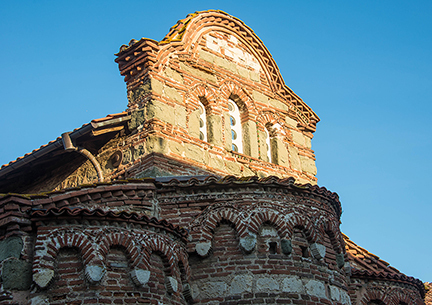 The churches of Nesebar represent the rich architectural heritage of the Eastern Orthodox world and illustrate the gradual development from Early Christian basilicas to medieval cross-domed churches. 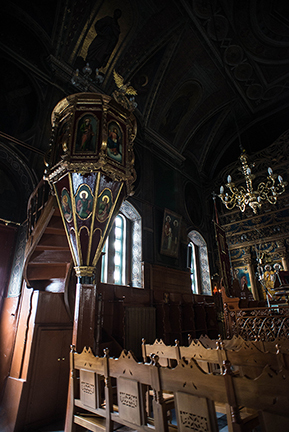 Amongst the town’s remarkable collection of churches and other structures from the Middle Ages are Stara Mitropoliya (“the old bishopric”), also known as the Church of Saint Sophia, which dates from the 5th to 6th century. Some believe it was built on the site of the original agora—the main square—when Nessebur was a Greek settlement. Here are some more photos, from our visit today to Nessebar. Up the coast is the seaside resort of Varna. It wasn’t always a place to play. The Varna Archeological Museum holds a significant trove of objects from the prehistoric, Thracian, Ancient Greek and Ancient Roman periods, as well as medieval Bulgarian and Byzantine Empires, the Ottoman rule and the Bulgarian National Revival. The Museum’s most celebrated exhibit is the Gold of Varna, said to be the oldest gold treasure in the world, excavated in 1972 and dating to about 4600 BC. 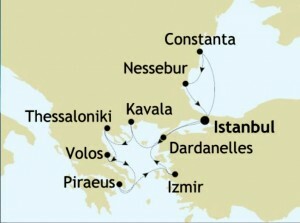 This is the last port of call on this cruise; to those guests leaving us in Istanbul tomorrow, I wish you safe travels. And for those staying on: ahead lies the Greek Isles and Aegean Turkey. 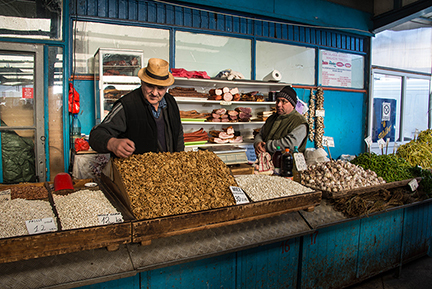 Romania—like Bulgaria and Turkey— straddles the crossroads of history. Its past, and to a great extent its future, hinges on the land and sea bridge between Europe and Asia. The port city of Constanţa is not Paris, but if you can look past the clutter and the ruin and the modern mistakes you can see the bones of a once-elegant city. Here are some photos from Constanţa I took today. We begin with the bank, where we dropped in for a quick withdrawal. 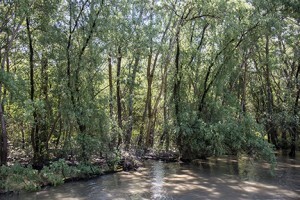 The region also includes an unusual setting in Europe: the Danube River Delta, a thicket of willow trees and other flora. We were escorted by a flotilla of frogs alongside and overseen by flocks of birds (eagles, herons, hawks, and more) above. 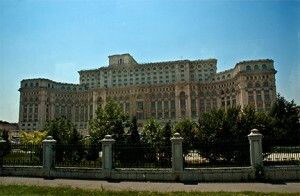 Bucharest is interesting, but its most astounding offering is the monument to excess left behind by Nicolae Ceausescu. While his people could not get bread and butter, Ceausescu spent the equivalent of more than 3.3 BILLION Euros on the Palace of the Parliament. Described by some as a giant Stalinist wedding cake, it’s the world’s second-largest administrative building, behind only the Pentagon. 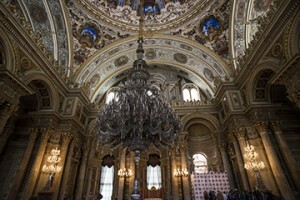 Within are 1,100 rooms, spread over 350,000 square meters or 3.8 million square feet. 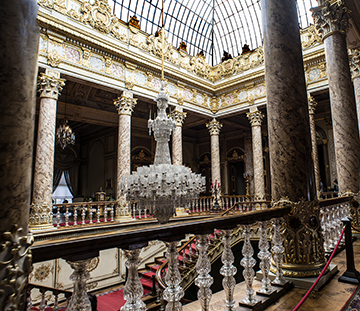 One million cubic meters of marble from Transylvania, 480 chandeliers, 900,000 square meters or 9.7 million square feet of fine wood. There are 200,000 square meters or 2.2 million square feet of woolen carpets; many of the rugs were woven on-site by machines moved into the building. 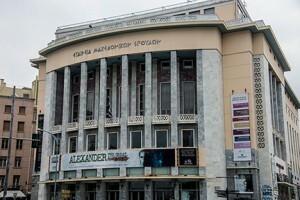 The building was never finished, and today only about a third of it is in use. 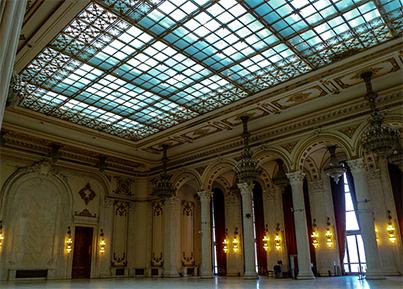 In a strange way, it is a great monument to the excesses of a dictator; on the other hand, it could not possibly be more different than the still-desperate lives of most Romanians today. 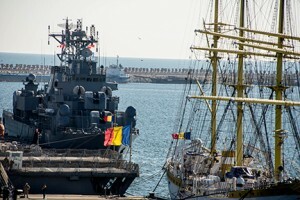 Romania joined NATO in 2004, and the European Union in 2007. And today, though Romania is better off than when Ceauşescu was in power, it still remains desperately poor in many regions. 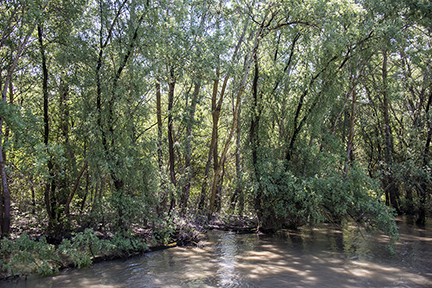 Where it is not a delta, it remains a backwater. All photos copyright 2014 by Corey Sandler. All rights reserved. 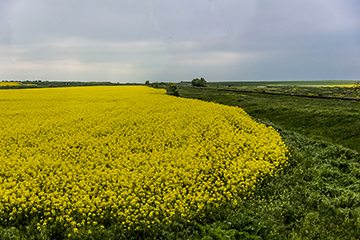 If you would like to purchase a high-resolution image, please contact me. 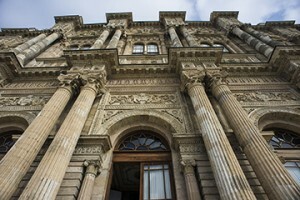 Izmir is Turkey’s third-largest city, home to more than four million people in its metropolitan area. That is a reference to its former history, when it was known as Smyrna, and to the Ottomans it was very much not an Islamic city. 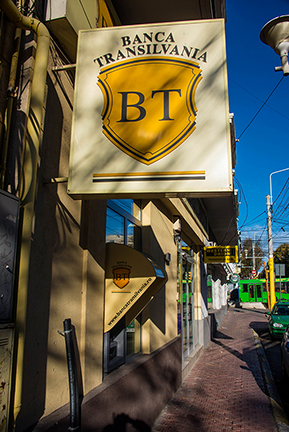 Today, some residents wear that old nickname as a badge of honor for a relatively progressive city in modern Turkey. Known for most of its history as Smyrna, in Ottoman times it was a melting pot that included substantial numbers of Greeks, Armenians, Jews, French and Italians. Smyrna was renamed as İzmir in 1930, and today is predominantly Turkish. 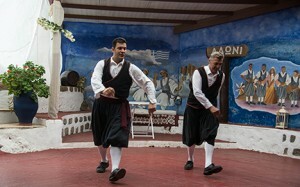 The modern name derives from the phrase εις_Σμύρνην or “is Smirnin”), which means “to Smyrna” in Greek. 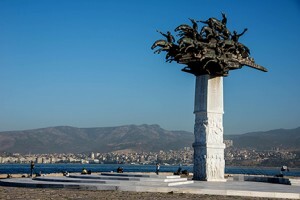 Izmir is now a modern, busy commercial and resort center, set around a huge bay surrounded by mountains. 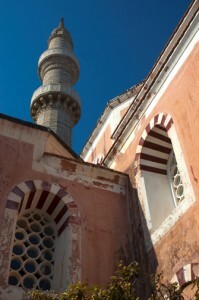 It has its old red-roofed buildings, mosques, and churches. Also, broad boulevards, glass-fronted buildings and modern shopping centers, palm trees, night clubs, and many non-observant Muslims. 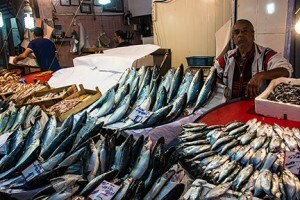 Here are some photos I took today in Izmir, along the Kordon and in the ancient bazaar. Izmir feels more Mediterranean Europe than traditional Turkey. 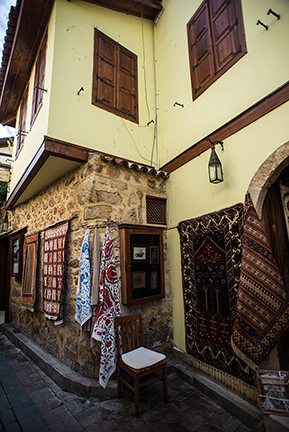 One great way to appreciate life in Izmir is to stroll the Kordon, the seaside promenade, lined with cafés, bars, and shops. 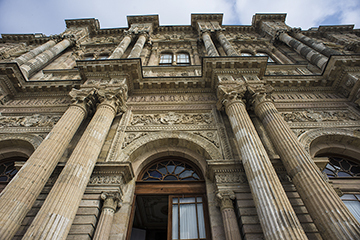 You’ll pass the neo-Classical Ataturk Museum, a grand battlefield statue of Ataturk, in Cumhuriye _Square and Ottoman-era buildings. It’s a pier, not a tower. 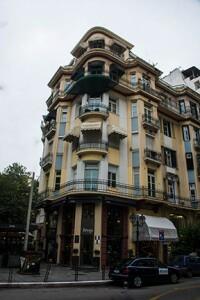 But it was originally designed by Gustave Eiffel in 1890 for French interests. 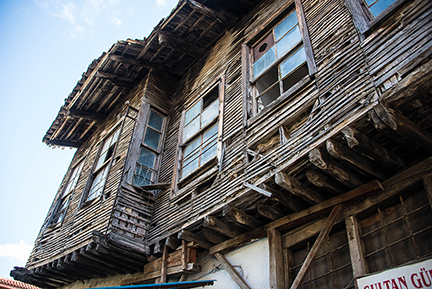 Konak Pier was a long wharf and warehouse of stone with glass and steel coverings. A 2003 restoration made it into a relatively upscale shopping mall with boutiques and cafés. 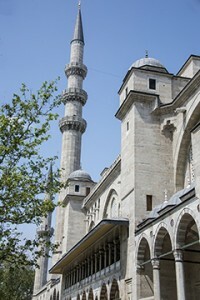 Nearby at Konak Square is the Clock Tower, a delicate minaret-like structure. 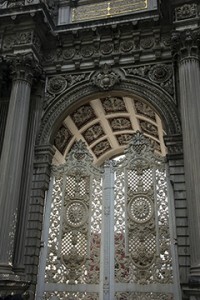 Four fountains surround the base; the columns are inspired by Moorish themes. Designed in 1901 by French architect Raymond Charles Père, another symbol of Izmir’s longstanding ties to the West, it commemorates the 25th anniversary of Abdülhamid II’s accession to the throne. 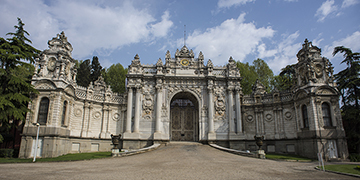 He reigned from 1876 to 1909 when he was deposed by the Young Turks, near the end of the Ottoman Empire. 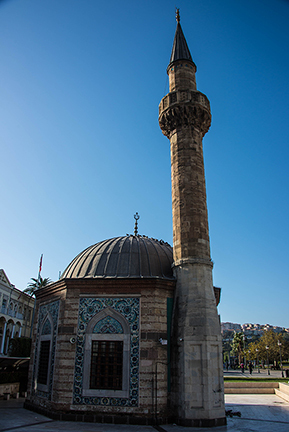 On the other side of the square is the second tower of Konak, the mini-minaret of the 18th century Yali Mosque. 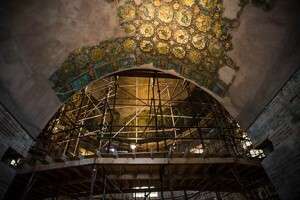 The small octagonal building is decorated within by ornate blue porcelain tiles. 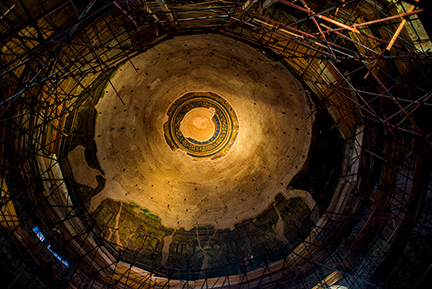 If you would like to purchase a high-resolution copy of any of my photos please contact me. 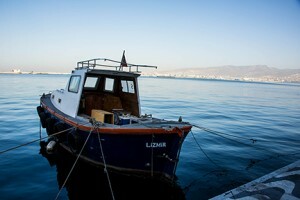 Even our wondrous small ship cannot sail into Syntagma Square in Athens. 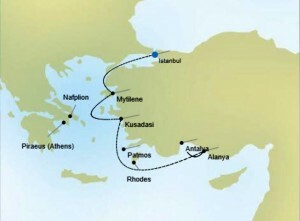 We instead dock the port of Piraeus, about 10 traffic-clogged miles from Athens. 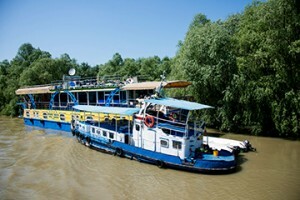 On this cruise, we are just passing through, in the middle of our cruise. And so we docked at the outer harbor at a set of quays built for the 2004 Olympics. Piraeus is not a place where many tourists come to linger; it’s a very busy port for ferries to the Greek Isles and elsewhere, and also much used as a cruise ship port. 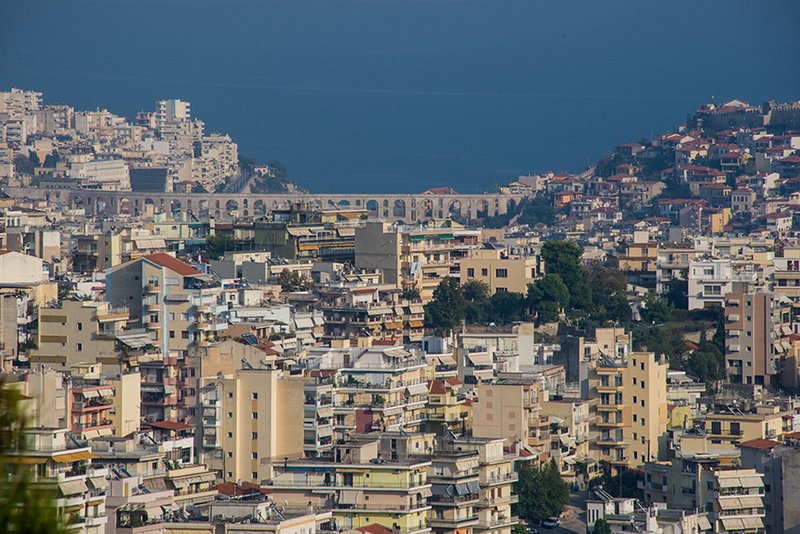 Think of it as a Greek version of Civitavecchia—the port for Rome—and you’re on the right track. 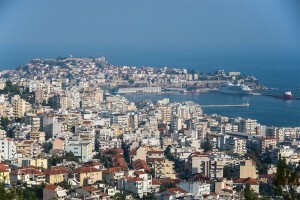 Piraeus is the chief port in Greece, the largest passenger port in Europe, and by some estimates the third busiest in the world, servicing about 20 million passengers per year—most of them on ferries. The Acropolis, the fortified citadel and the state sanctuary of the ancient city of Athens, is fully deserving of a spot on anyone’s bucket list. 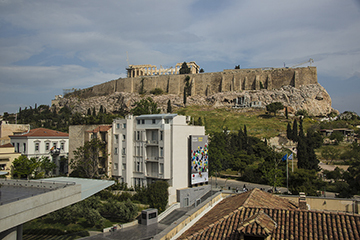 The Acropolis is perched on a flat-topped rock that rises 150 m (490 ft) above sea level in what is now the heart of the city of Athens. In the Late Bronze Age, the Acropolis was surrounded by a massive fortification wall like those at Mycenae and Tiryns in southern Greece. 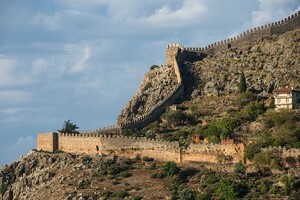 This wall remained in use long after the collapse of Mycenaean civilization, and functioned as the fortifications of the Acropolis for several centuries. 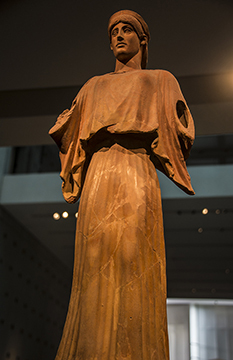 By the middle of the 8th century B.C., at least part of the Acropolis had been redeveloped into the sanctuary of the goddess Athena, the patroness of the city. Athena, as in Athens. 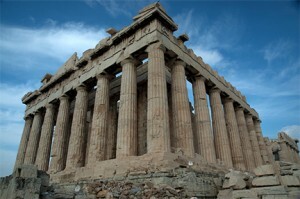 In the 6th century B.C., the first monumental stone, Doric temple of Athena is built on the Acropolis. However, the Acropolis was captured and destroyed by the Persians in 480 B.C. 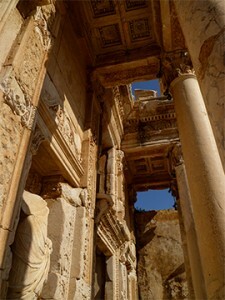 But the Athenians were persuaded by the statesman Pericles to rebuild the temples on the Acropolis on a grand scale. It was during the second half of the 5th century B.C. 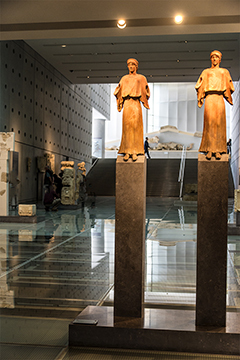 that the most famous buildings on the Acropolis — the Parthenon, the Erechtheion, the Propylaia, and the temple of Athena Nike, were constructed. For more than a millennia, the structures on the hill stood there—crumbling, shaken by earthquakes, an explosion in an Ottoman arms dump, and sometimes looted for building materials or souvenirs. Today the Parthenon is considered the most important surviving building of Classical Greece, the culmination of the development of the Doric order. 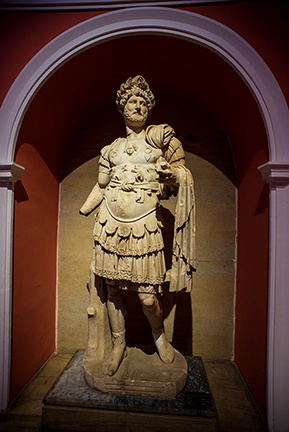 In 1806, in an act some Greeks consider vandalism, Thomas Bruce, the 7th Earl of Elgin (the British ambassador to the Ottoman Empire from 1799–1803), was given permission by the Ottoman Turks to remove some of the surviving sculptures and friezes. Elgin’s agents removed about half of the surviving sculptures of the Parthenon, as well as architectural members and sculpture from the Propylaea and Erechtheum. 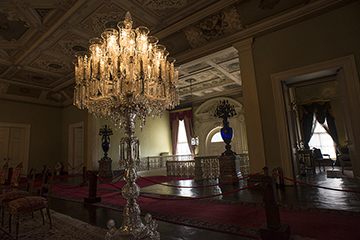 Elgin at first used many of the pieces to decorate his mansion in Scotland. 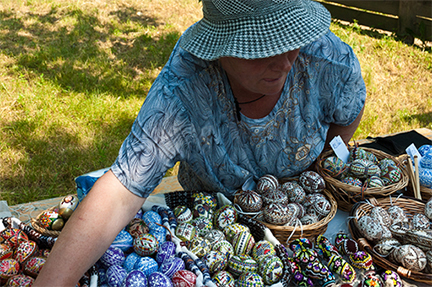 Later, he decided to sell off his holdings to pay debts. Following a public debate in Parliament and subsequent exoneration of Elgin’s actions, what are now known as the Elgin Marbles or the Parthenon Marbles were purchased by the British government in 1816 and placed on display in the British Museum, where they can still be seen. 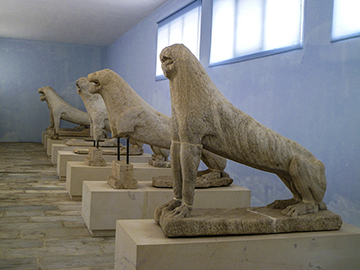 The Greek government has been seeking the return of the sculptures for decades. 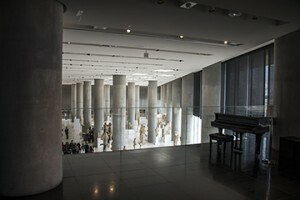 And even if you’ve been to Athens before, the Greeks—never mind all of their financial foibles—have done an extraordinary job with the design and construction of the New Acropolis Museum, which opened in June of 2009. 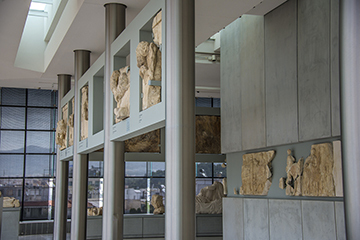 The museum is located directly opposite the Acropolis, near the Acropolis Metro station (Line 2). 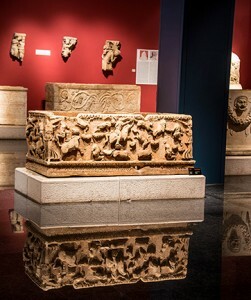 More than four thousand items are on display, including a portion of the frieze of the Parthenon—the part that is not in the British Museum, they will remind you. 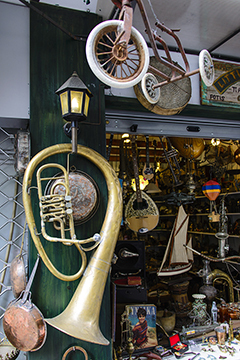 Volos a place known for its Milk, a much-sought-after Fleece, and its Hard Rock cafés. Milk, as in Milk of Magnesia. Fleece, as in the Golden sheepskin sought after by Jason. 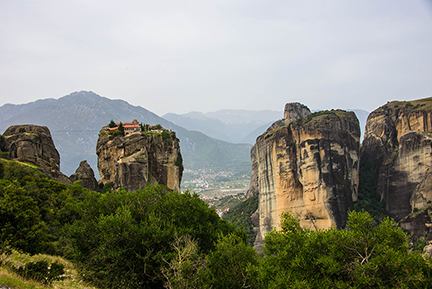 And many of the cafés—and half a dozen spectacular monasteries—of this region are perched on rocks, seemingly defying God and nature to return them to earth. According to legend, it was here—from Iolkos—that Jason set sail on the Argo in search of the Golden Fleece; the Argonauts intended to bring back the booty from Colchis, which is today the Black Sea coast of Georgia. Modern Volos has one of the largest cargo ports of Greece, a fishing fleet, plus ferry and hydrofoil to the nearby Sporades Islands, which include Skiathos, Skopelos and Alonissos. We eat rather well here aboard ship. But if you somehow become peckish while ashore, the local specialty are “Tsipouradika” shops, more than 400 spread through the city. 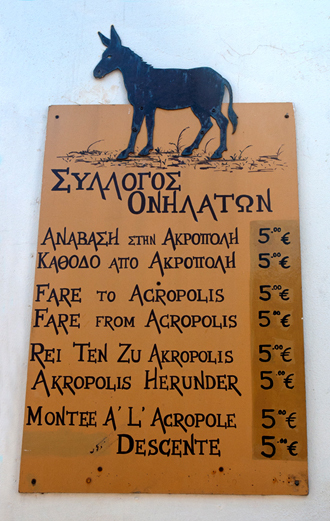 These are basically bars that sell tsipouro. Then choose an accompaniment: a tasty tidbit of fish, meat, nuts, olives, dried fruits, halva, or paximadi (rusk or twice-baked bread.) 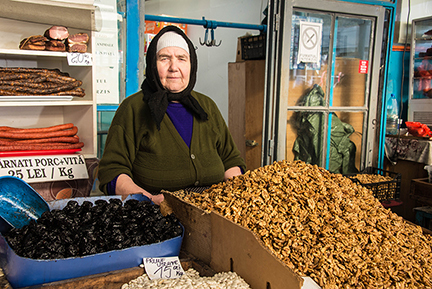 Think of Mezes from Turkey, or Tapas from Spain. 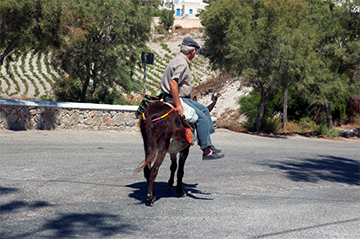 Tsipouro is a pomace brandy, particular to this part of Greece as well as Crete. It’s a strong distiled spirit, about 40 to 45 percent alcohol by volume, and is produced from the pomace (the residue of the wine press). The anise-flavored version is similar in taste and effect of ouzo, although the two drinks are made very differently. 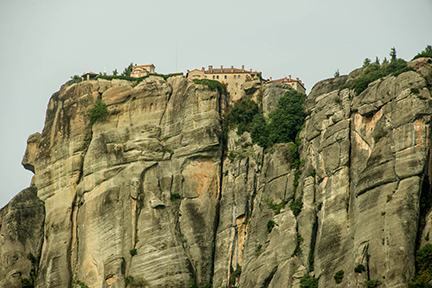 Metéora is one of the largest and most important groups of Eastern Orthodox monasteries in Greece. 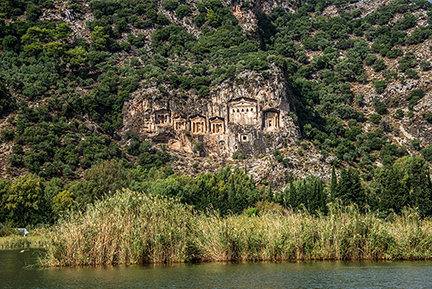 They are also some of the most spectacular places in this part of the world, on the UNESCO World Heritage List. 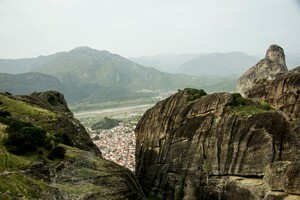 The word Metéora is derived from old Greek meaning “middle of the sky”. From the same origin we have the words “meteor” and “meteorite”, rocky asteroids that enter into the earth’s atmosphere and burn up or explode. 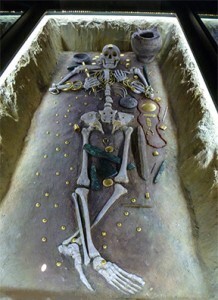 These cosmic events were certainly noticed by the ancients, unexpected changes in the middle of the sky. The name for the monasteries, therefore, is self-evident. The monasteries are built on natural sandstone rock pillars, at the northwestern edge of the Plain of Thessaly near the Pindus Mountains, in central Greece about two-and-a-half hours away from Volos by car or coach. The pinnacles are believed to be about 60 million years old, the remnants of an ancient sea. 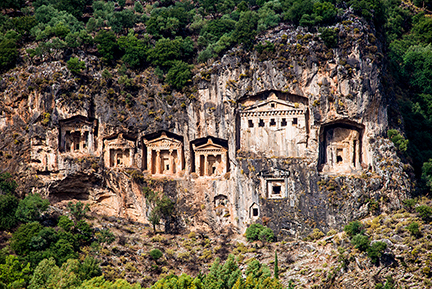 In modern times, the 9th century, an ascetic group of hermit m­onks moved up to the ancient pinnacles to live in caves and cutouts in the rocks as much as 1800 feet or 550 meters above the plain. They were not much disturbed by visitors. 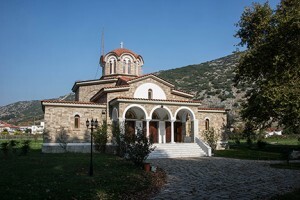 By the late 11th and early 12th centuries, a rudimentary monastic state had formed, centered around the still-standing church of Theotokos (mother of God). More than 20 monasteries were built; six remain today: four were inhabited by men, and two by women, each with fewer than 10 inhabitants. 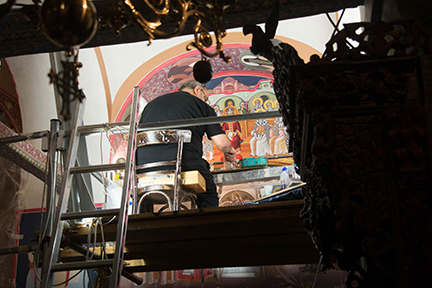 Originally, the only means of reaching the monasteries was by climbing a long ladder, which was drawn up whenever the monks felt threatened. Food and supplies and occasionally people were hauled up in large nets. 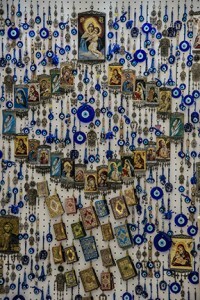 According to oral history, the ropes were replaced only “when the Lord let them break”. 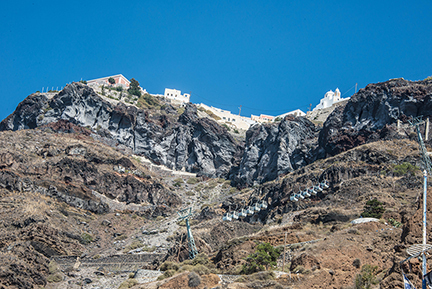 It was only in the 1920s that steps were cut into the rock, making the complex accessible by bridge from the nearby plateau. 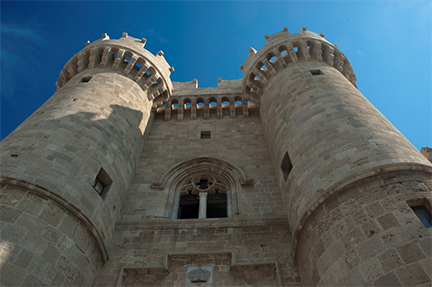 Two of the buildings are open to tourists. The Agios Stephanos Convent, which is relatively easy to reach, and the Varlaam Monastery which requires ascent of stairs. And today you can drive there–most of the way–by motor coach or private car. If you’re concerned about heights, have a shot of tsipouro. Give the driver a bottle of cool water. Photos by Corey Sandler. If you would like to purchase a high-resolution copy of an image, please contact me. 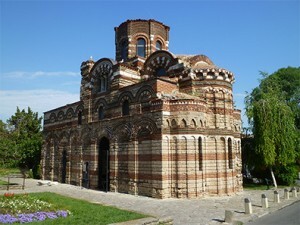 Thessaloniki is the Second City of Greece. 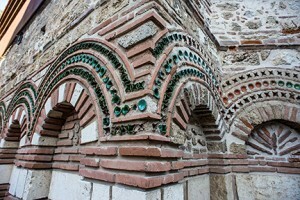 A poet of about a century ago described it as a “city of ghosts”, inhabited by the reminders of ancient Romans, ancient and modern Jews and Muslims, and a city destroyed by fire in 1917. 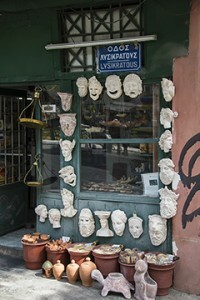 Athens is way out front with four million residents in its metropolitan area and most of the fame;Thessaloniki, not nearly so well-known, is home to about one million in and around the city. 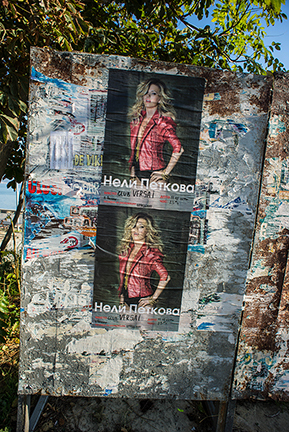 And it has an honorific title: co-capital. But co-capital NOT with Athens. 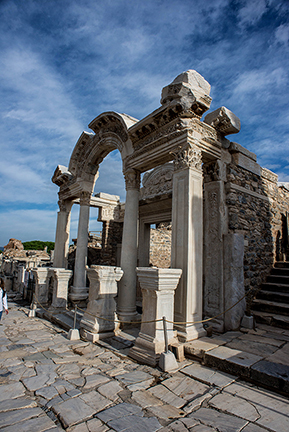 The honorific reaches back more than a millennia to Thessalonki’s status as the co-reigning city of the Eastern Roman or Byzantine Empire, alongside Constantinople, now Istanbul. And though it is today a modern city, it is built on a foundation of Roman, Byzantine, Ottoman, and Sephardic Jewish cultures, somewhat different from Athens. 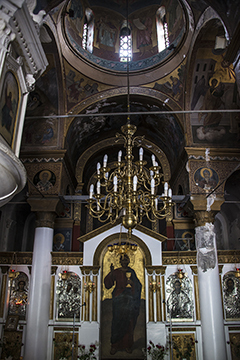 Salonika was at one time a predominantly Jewish city, with a population made up of Sephardic Jews living alongside substantial groups of Muslims and Orthodox Christians. 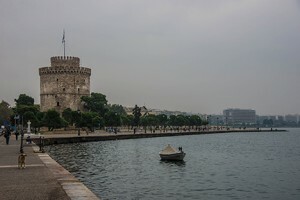 It is believed that the first Jewish residents in Greece were in Salonika, brought from Alexandria, Egypt in 140 BC by Alexander the Great’s brother-in-law Kasandros because of their expertise in maritime trade. These “Hellenized” Jews built their first synagogue. 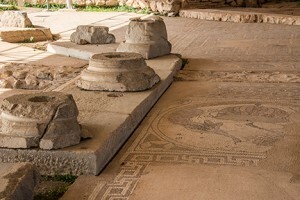 Two centuries later, Paul the Apostle preached at the synagogue, apparently gaining no converts. 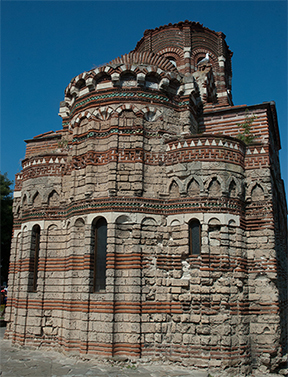 It was after the breakup of the Roman empire in 395 that Salonika became the second most important city–after Constantinople–in the Byzantine Empire. The Byzantine emperors sought to “Christianize” their subjects, and Salonika—at the outer reaches of the empire—was subject to bans on religious practices and in some cases orders to convert or leave. The Jewish population remained quite small until the second half of the 14th century as persecution in Europe began to drive Jews out of Hungary and then Iberia. 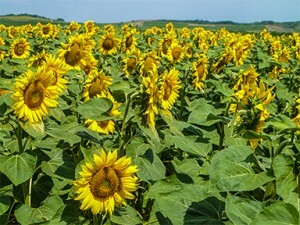 In 1394 there was a migration from Provence. Meanwhile the Ottoman Empire was on the rise, moving westward from Constantinople. At the same time the Venetian Republic was once again expanding toward the east. 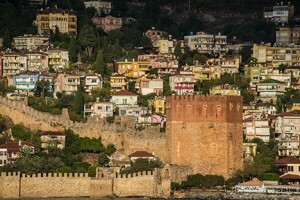 The siege of Thessalonica, between 1422 and 1430, was an ultimately successful attempt by the Ottoman Empire to take the Byzantine city of Thessa­lonica. 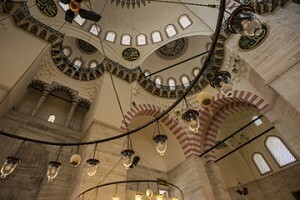 And then in 1453, Constantinople—the capital of the Byzantine Empire—fell to the Ottomans led by 21-year-old Sultan Mehm­ed II. 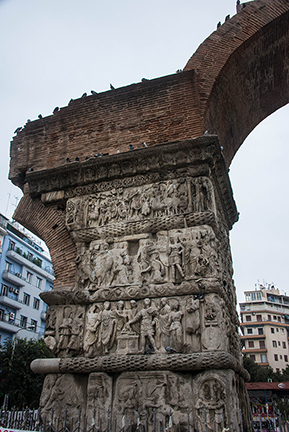 This marked the end of the Roman Empire, an imperial state which had lasted for nearly 1,500 years. For much of the 19th century and into the first half of the 20th century, Salonika was essentially a Jewish city—at first within the Muslim Ottoman Republic and then within Orthodox Christian Greek Republic. 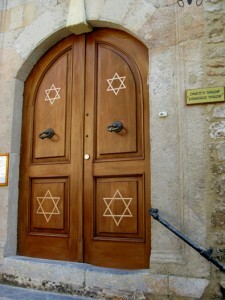 More than half of the pre-World War II population of about 100,000 were Jewish. 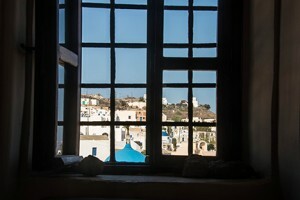 Most had arrived over the centuries from such countries as Hungary, Germany, Spain, Sicily, and Portugal to find safe harbor from pogroms, economic hardship, and wars. 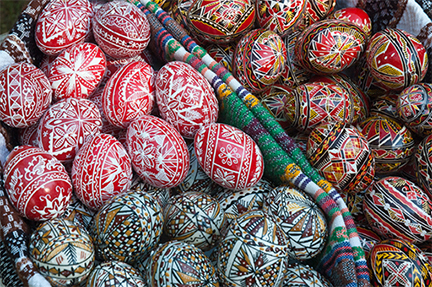 The Jews ran the port and other industries including the silk trade. 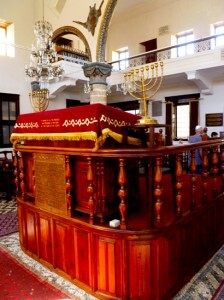 They built about 40 synagogues and many libraries and other places of education and culture. 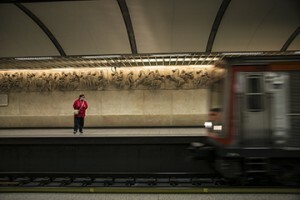 Reports of the time noted how the city was all but closed on Saturday, the Jewish Sabbath. Not Friday as it would be in an observant Islamic region or Sunday as would be the case in a Christian city. When World War I began in 1914, Greece maintained neutrality although it cooperated with the Allied or Entente Forces. 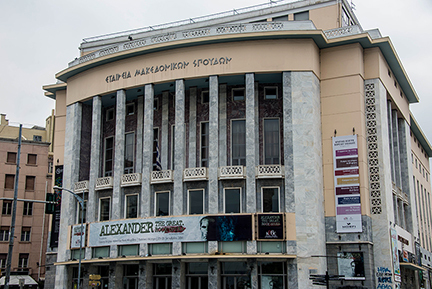 Thessaloniki became a transit center for Allied troops and supplies, and the city filled with thousands of French and British soldiers, as many as 100,000. 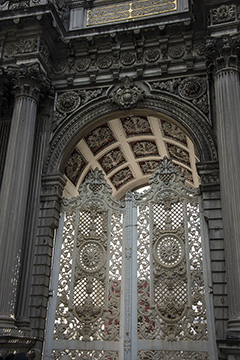 It was during that time, in August 1917, that two-thirds of the city was destroyed in the Great Fire that erased most traces of what was once a bustling city. Today, a rebuilt city . . . with many ghosts. 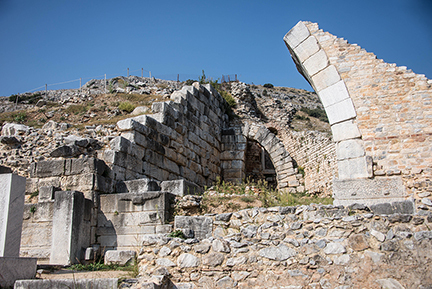 In journeying to Kavala, we are going back in time to a place that has been inhabited without interruption since the 7th century B.C. But its story is not at all straightforward. 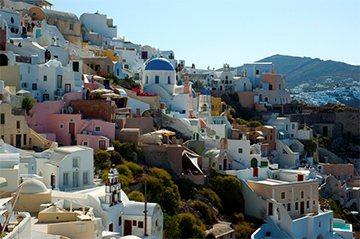 It’s a wondrous mix, a much more complex back story than is possessed by your typical Greek island of beaches, ouzo, and olives. 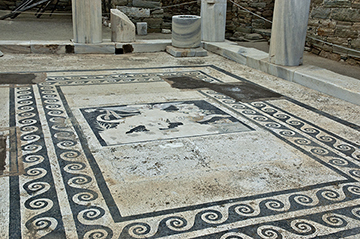 Kavala is on the mainland of Greece, in many ways more influenced by other cultures: ancient tribes, the Romans, the Bulgarians, the Macedonians, the Turks, the Ottomans. 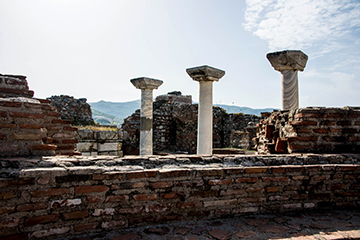 An ancient city at one time called Neapolis—the new city—and in the Middle Ages as Christoupolis, city of Christ. Its strategic and economic importance was due to its location on the Roman road the Via Egnatia, its port, and the natural fortification of the peninsula. 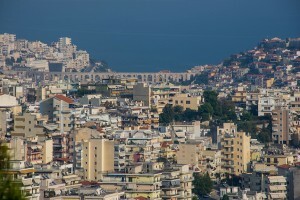 But the name we call it now, Kavala, is shrouded in mystery. Perhaps derived from the Italian cavallo, meaning horse. 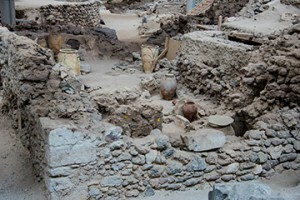 The city was founded in the late 7th century B.C. by settlers from the Greek island of Thassos, the country’s northernmost island, close to the coast of Thrace and near Macedonia. 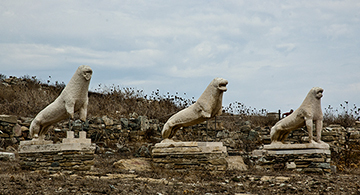 The Thassians came ashore to exploit rich gold and silver mines in the area. The Romans built the Via Egnatia in the 2nd century BC. It crossed the Roman provinces of Illyricum, Macedonia, and Thrace, running through parts of what is now modern Albania, Macedonia, Greece, and European Turkey. 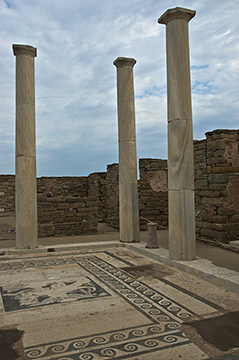 Its western end was at Dyrrachium (now Durrës) on the Adriatic Sea, opposite the Appulia region of Italy—the heel of the boot of Italy. Crossing over by water, it connected to the Via Appia to ancient Rome. 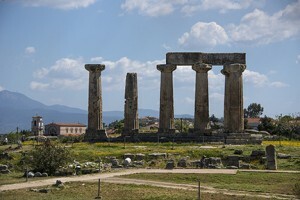 The armies of Julius Caesar and Pompey marched along the Via Egnatia during Caesar’s civil war, and during the Liberators’ civil war Mark Antony and Octavian pursued Cassius and Brutus along the Via Appia to their fateful meeting at the Battle of­ Philippi. The road was used by the Apostle Paul on his second missionary journey as he traveled from Philippi to Thessalonica (Acts 16-17). 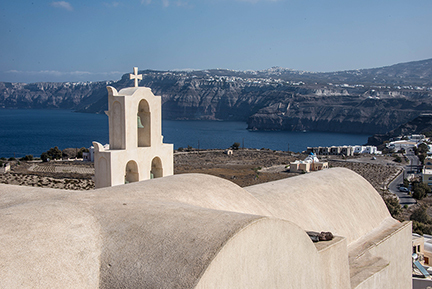 The Apostle Paul, originally known as Saul of Tarsus, is considered one of the most important of the 1st century missionaries, founding Christian churches in Asia Minor and Europe. 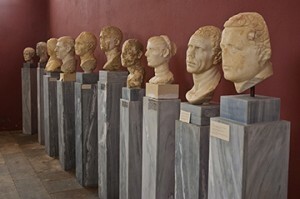 He was not one of the original Twelve Apostles. Paul used his status as both a Jew and a Roman citizen to advantage in his ministry to both Jewish and Roman audiences. Fourteen of the twenty-seven books in the New Testament have traditionally been attributed to Paul, and approximately half of the Acts of the Apostles deals with Paul’s life and works. This is said to be the first place in Europe where Christianity was introduced. In the year 49 or 50, Paul the Apostle preached to women gathered on the banks of Zigaktis river. 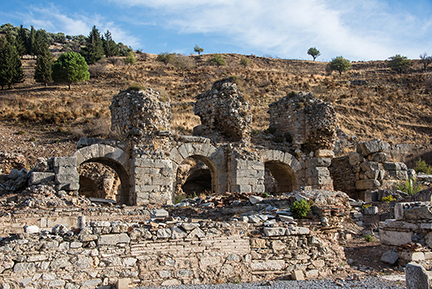 During the Crusades, armies traveling to the east by land followed the road to Constantinople before crossing into Asia Minor. 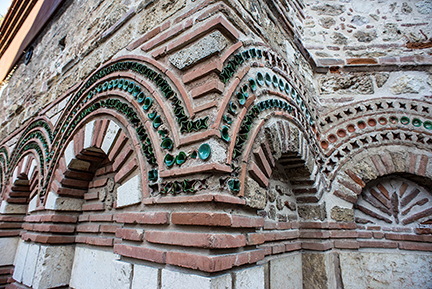 The Kamares, or arches, are an enduring symbol of Kavala. 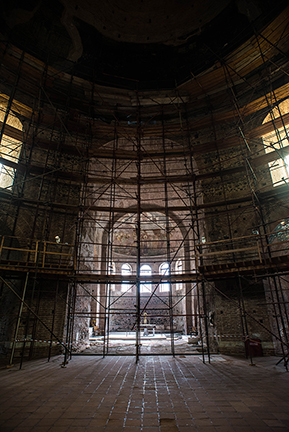 The original structure may have been erected by the Romans. The well-preserved structure you see today was rebuilt about 1550 by Sultan Suleiman II, Suleiman the Magnificent. 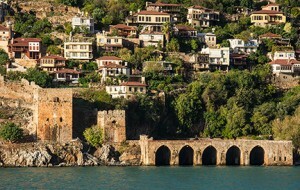 The double arches bridge the Panagia peninsula to the foot of Lekani mountain of Lekani, bringing water from the hills. 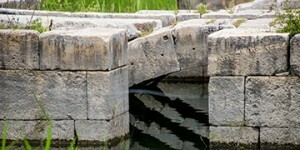 It remained in use until 1911. 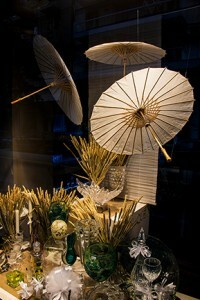 All photos by Corey Sandler; all rights reserved. If you would like to purchase a high-resolution copy, please contact me. Byzantium. 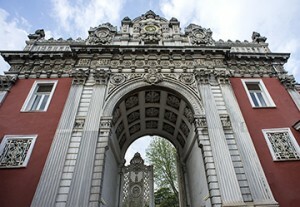 Constantinople. 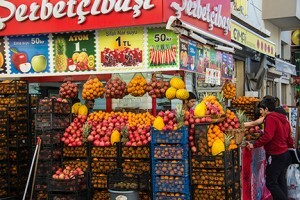 Istanbul. 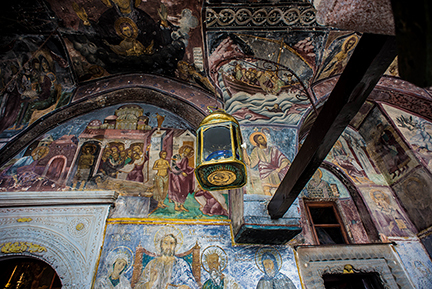 Over the millennia, this place–sitting astride the narrow gap between Europe and Asia–has been both a starting and ending place on a major scale. 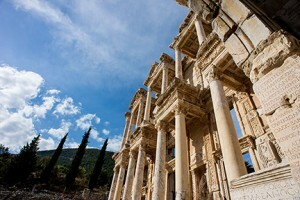 Ancient tribes, the Greeks, the Romans, early Christians, rising Muslims, the Crusaders, the Venetians, the warring powers of the first World War, the shadow of World War II, and even today the lines of demarcation between the West and places like Syria and Iran. I’ve spoken about all of this in my lectures on board ship. And more lies ahead. 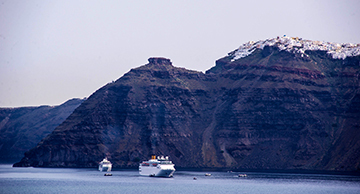 This port call marks the end of a great expedition that began in Civitavecchia, the Port of Rome and passed through Sorrento and the islands of Sicily, Malta, Mykonos, and Santorini. For guests who are leaving us here: safe travels. And to new friends: welcome aboard. 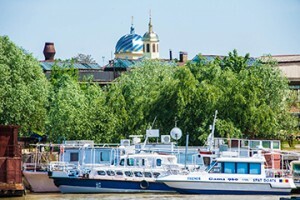 The original itinerary for the upcoming cruise had called for a circuit of the Black Sea including calls in Crimea at Yalta, Sevastopol, and on the mainland of Ukraine at Odessa. It should be quite obvious why that is not going to happen now. It may be a while before cruise ships and tourists can visit Crimea, and Ukraine has larger concerns than entertaining guests right now. Let’s hope for a return to peace and stability and tourism. If not now, then soon. 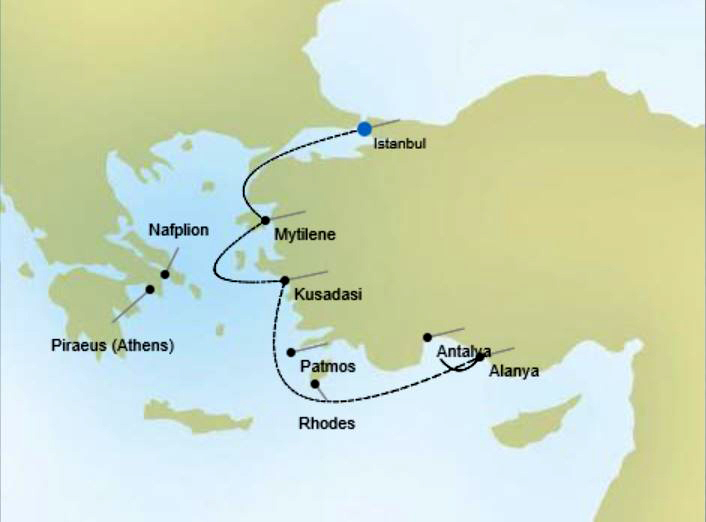 And so our itinerary calls for an exit from Istanbul to several interesting and less-visited ports: Kavala, Thessaloniki, and Volos in Greece, a stop at the port of Athens at Piraeus, and then Izmir, Turkey. 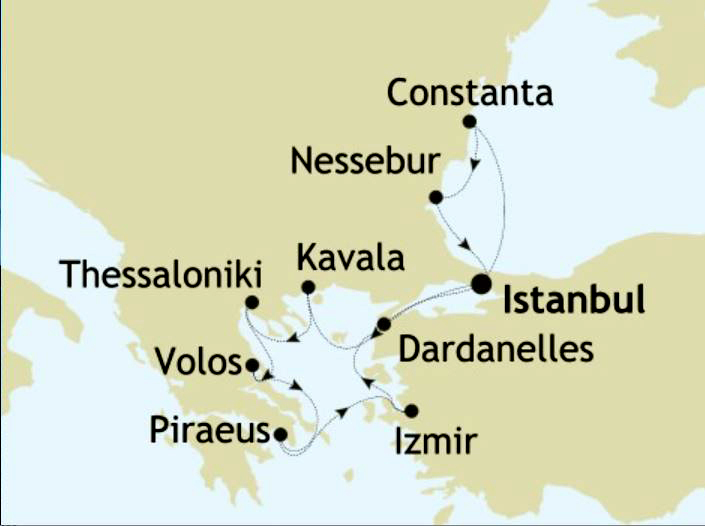 After that detour, we’ll head back into the Dardanelles and make a visit to two ports on the Black Sea that have come out from under the Soviet thumb: Constanta, Romania and Nessebur, Bulgaria. And then we’ll be back in Istanbul. And a few photos from recent visits I have made to Istanbul: these from Dolmabahçe Palace, the last Ottoman palace, just up the coastline from where Silver Cloud docks. 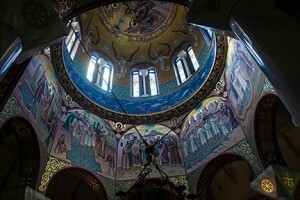 All photos by Corey Sandler. All rights reserved. If you would like to purchase a high-resolution copy any photo, please contact me. Kusadasi is a place that has been bystander to history for eons. It has seen the likes of Alexander the Great, Croesus, King Midas, and thousands of travelers and merchants who came to the city on the ancient Silk Road that reached back to Persia and the Middle East. 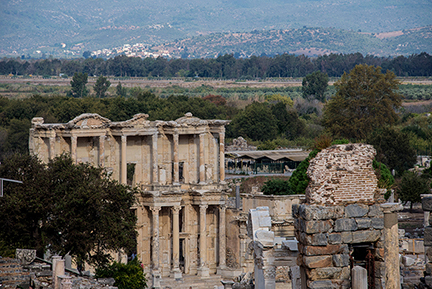 And a short distance away is the spectacular city of Ephesus, once a great Greek and then Roman city with a population of several hundred thousand and then one of the most important early cities of Christendom. 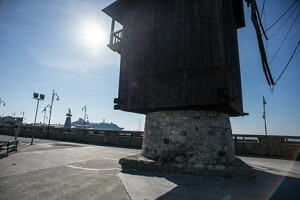 Today, the invaders arrive by cruise ship and airliner. 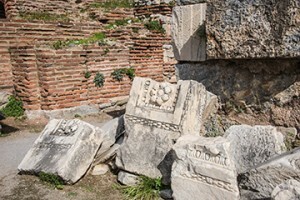 Most times, Ephesus is jammed with visitors, shoulder-to-shoulder, iPad-to-iPad, and the sun is merciless. 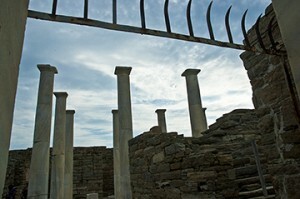 Today, though, late in the season, it was merely busy and even a hint of a cool breeze wafted through the ruins. Here’s an album of photos from Ephesus and nearby sites. The Library of Celsus, the Greek theater and other sites at Ephesus. Photos by Corey Sandler. 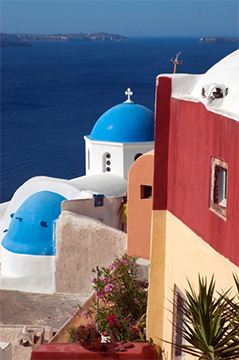 Santorini is a picture-postcard Greek Island, one of the more spectacular sights in the Aegean, a half-circle of steep cliffs topped with two horizontal towns of white and blue. Oh, and one more thing: It’s a picture-perfect Greek island that also sits atop a ticking time bomb. The cliffs are actually the rim of a huge volcano. 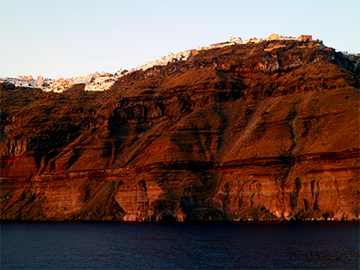 A huge dormant—not dead, just sleeping—volcano. 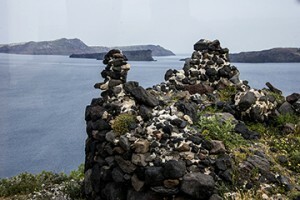 Santorini and a few surrounding fragments are essentially the remains of an enormous volcanic explosion that destroyed the earliest settlements on a single island. A new-ish volcanic cone rises in the caldera of Santorini. The homeland of the Minoan culture was on the island of Crete, and the famed palace complex of Knossos is one of the wonders of the Aegean. This Bronze Age civilization thrived between 3000 to 2000 BC, and reached its peak in the period 2000 to 1580 BC. What happened about 1500 BC? 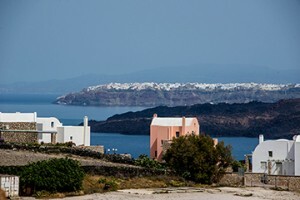 The big boom on Thera; the volcano on Santorini. Excavations begun in 1967 on Santorini have established its importance as one of the outlying centers of the Minoan culture. 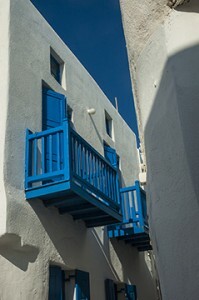 A SANTORINI ALBUM. 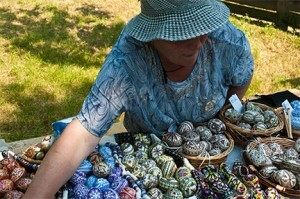 All photos by Corey Sandler, all rights reserved. SCENES OF AKROTIRI ON SANTORINI. All photos by Corey Sandler, all rights reserved.